New Vision Custom Solutions is a small business consulting and services firm that not only helps coach and consult, but also gets on the field with you and your team to help get the ball down the field and score! Below are several areas in which we love to help small business owners and non-profit leaders develop strategic plans and clarity and then to offer solutions that we may be able to help provide to partner with you for success. If you have any specific questions about these services or what we do, please Email Us today. 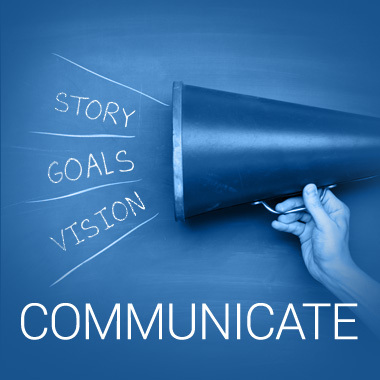 Communication, the definition we prefer at New Vision is the successful conveying or sharing of ideas and feelings. We love to learn who your actual audience is and what you are trying to communicate so that we can help successfully share those ideas and feelings in a way that your audience is motivated to take action. Once this strategy is in place we desire to help maintain an on going dialog rather than a one time bull-horn approach. With web and social media, we strive to help you create a reasonable plan to use these tools and swim in the deep end, while not drowning from complexity and a tide of information. Contact us to learn more about how we might be able to help you. Organizations are made up of people that use resources to do specific things. This is very much analogous to a vehicle. Most motor vehicles use similar materials (i.e. metal, plastic, leather, fiberglass, etc.) to create products that transport people or things. However within the world of vehicles, they all use these materials differently depending on the purpose of the vehicle. For instance, a Lamborghini and a military humvee are both very high performance vehicles but meant for very different purposes. The key is to begin with the end in mind and to align resources in a way that allows the most effective results. New Vision’s goal is to help you figure out how to align people, technology, capital, etc. in the best way possible to achieve a high performance environment for your team in order to fulfill your purpose and mission. 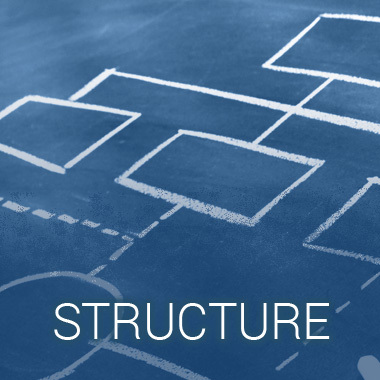 This structure for an organization is critical. Contact us to learn more about how we might be able to help. All professional athletes measure things about their performance not just while on the playing field but while training. Number of reps in the gym, calories in and out, heart rate, etc. Could a professional athlete be successful without the investment and understanding of the data about their training efforts? It’s extremely unlikely and I don’t know of any that try and find out. This is no different than a small business manager or non-profit organization not knowing key indicators of their business, specifically related to the financial health of their organization. If you can’t communicate right now what your last months gross revenue/donations were, what your current operating budget is and how much your gross margin or debt service is, then you may be at risk of trying to win by luck. Contact us to see how we can help create a plan for you to implement and have the confidence you know your numbers and can make healthy decisions for the future. To create meaningful partnerships with small business owners and nonprofit leaders and their teams by offering practical solutions that result in creating sustainable growth personally and professionally.